Why does your breast milk smell soapy or metallic? What is lipase? This is an enzyme in milk which makes it break down the fat sooner which can cause the milk to have the soapy or metallic smell. For any mother out there who has ever pumped breast milk, you truly understand the struggle that us mothers have gone through in order to get those few ounces of breast milk that are equivalent to gold. You spend hour upon hour, with a suction cup like machine stuck to your breasts. Some women have concerns with their breast milk and need to learn how to scald breast milk. How can you resolve this situation? The reason for doing this is to make sure your milk is perfect for your baby. What Do You Need When Scalding Breast Milk? 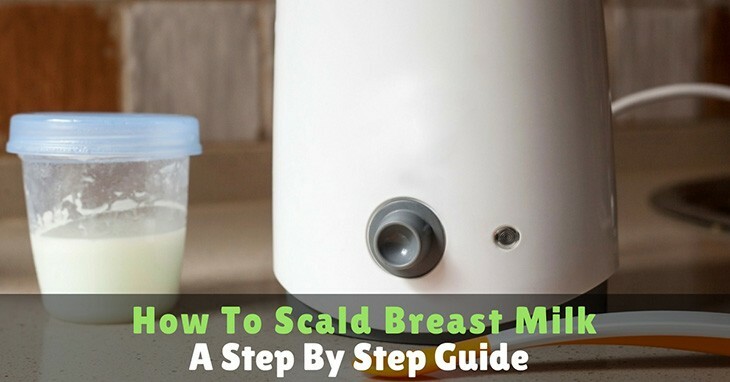 How To Scald Breast Milk? In order to start the process of making sure your baby’s milk is drinkable, you need to scald breast milk to rid it of an enzyme that will cause the milk to change taste and smell. If you do not do this, you may cause your baby to not want to drink it. Although scalding will lower the nutrient levels in the breast milk, it will not be a significant amount. 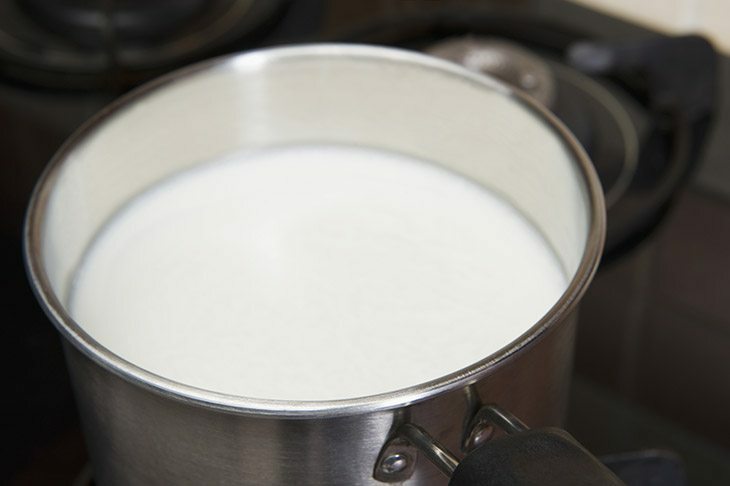 You want to make sure to scald the milk before storing it in the refrigerator or the freezer. What do I need to start the scalding process? Stainless Steel Water Bottle/Glass Bottle﻿﻿ – This type of bottle is recommended instead of a glass bottle. The reason being that when it is being heated, you are able to then move it to cold water without the worry of a bottle breaking due to the change in temperature. Bottle Warme﻿r - Most bottle warmers have different settings on them. Once it is turned to a high setting, it will easily heat the milk to get rid of any lipase, which would cause issues with pumped milk. Saucepan – This will be needed to heat the breast milk if you choose to do it on the stove top. Digital Thermometer - Using a digital thermometer will allow you to make sure you do not over heat milk to above 180 degrees. If you can, get one with an alarm, this way you are alerted and your milk does not over heat. As the milk heats up, make sure to stir occasionally. Every time the temperature goes up 10 degrees, stir again. When the thermometer hits 180 degrees, remove the breastmilk from the stove and pour the milk into a bottle and seal. Once sealed, place it right into ice water and then the refrigerator. Once the milk has cooled off a bit, you can either keep it in the refrigerator for roughly 5 days, or put it into the freezer to store. 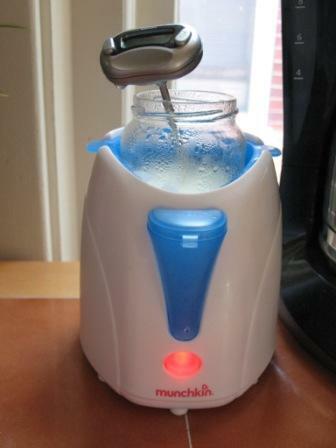 Pour your pumped breast milk into a glass bottle/stainless steel water bottle that can go into your bottle warmer. Make sure your bottle warmer it filled with water. Using warmer water helps make the bottle warmer heat up faster. Put a thermometer into the water of the bottle warmer to make sure the bottle warmer gets up to 180 degrees. As the milk heats up, make sure to stir occasionally or swirl the bottle around. Every time the temperature goes up 10 degrees, stir again. When the thermometer hits 180 degrees, remove the breastmilk from the bottle warmer and seal. Once sealed, place it right into ice water and then the refrigerator. It is very important to make sure that all milk is sealed very well whether it is in the refrigerator or the freezer, this way it does not absorb the odor of the other foods. Storage Container - Use glass or plastic BPA free bottles, bags, or storing containers. The best ones are either glass or hard plastic, this way the nutrients are preserved.If you are having an issue with storing in plastic, than go with the glass container to try out an alternative option. Storage locations - If you are not planning to use the milk for roughly 5 days, then you should be freezing it as soon as you are finished pumping.Once you decide you are going to use it, put it in the refrigerator to thaw, and then you must use the thawed milk within 24 hours. 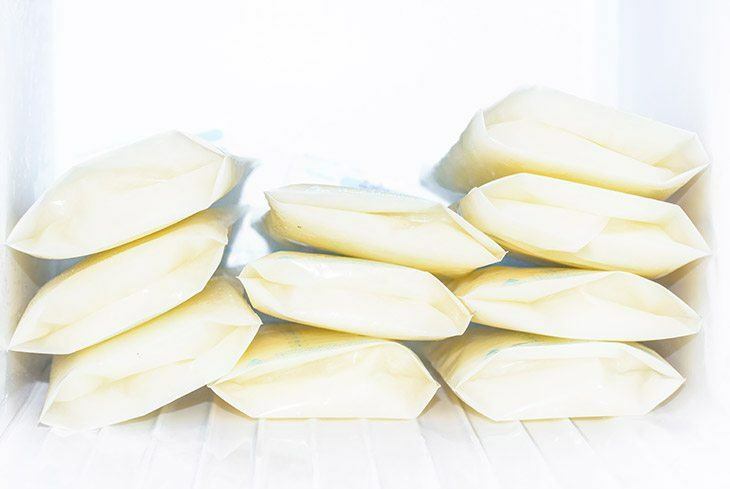 Storage conditions – Make sure to store the breast milk in the back of the refrigerator or freezer, not on the door or towards the front of a shelf. You want your milk to remain as cold and if in a freezer, frozen without defrosting from a door constantly being opened. After all the hard work you go through to get every ounce of breast milk that you can when you are pumping, finding out that your milk has lipase in it can be upsetting. When this happens the fat in the milk is breaking up faster. 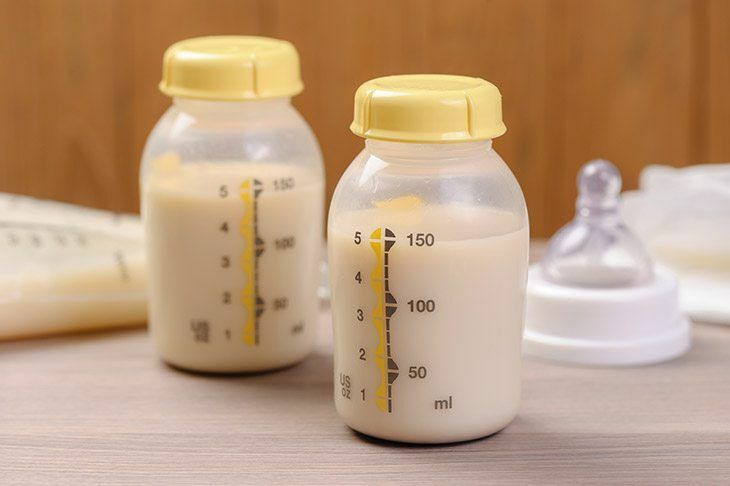 By scalding your breast milk, you are making sure that the taste of the milk does not become soapy or metallic. This could cause your baby to reject the milk and therefore you would be wasting your expressed breast milk. In order to prevent this from occurring, all you need to do is follow these easy steps. If you know any other mothers who are having the same issues, please make sure to share this with them.